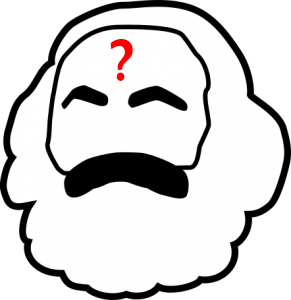 Interrogating Marx(ism) is a project in Cultural Analytics. It began as “Interrogating Marx,” visualizing statistical patterns and trends within the writings of Karl Marx by applying text mining techniques to samples from widely dispersed points in his career. It soon broadened to include works from a collection of “first generation” Marxist thinkers, including Paul Lafargue, Karl Kautsky, and Georgi Plekhanov. This second project iteration is an online resource for examining, analyzing, and digitally interrogating writings from the shared tradition of Marxist thought. Incorporating algorithms developed in the field of Digital Humanities, the project offers various means for exploring early Marxist documents and enabling the visualization of their textual relationships. In the process, the corpus of available Digital Humanities works is expanded to encompass further examples of philosophy and philosophical writing. Our goal is to create a means for applying established techniques via a “portal,” a dynamic website for uncovering new research questions by comparing the writings of Marx and other leading political philosophers. The broader goal is to offer new modes of discovery beyond traditional web searching. We also encourage interrogating the tools themselves, their affordances and anticipated results. Please take a moment to consult the instructions for each application, and use the navigation menu to explore the site.